This beautiful soap will remind you of breezy spring evenings filled with the beautiful aroma of the honeysuckle flower. 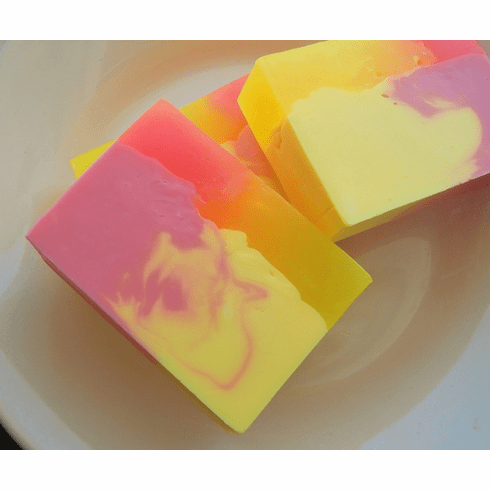 With vibrant hues of pinks and yellows, we think that this soap is a great representation of this fragrant flower. Soap also contains olive oil and grapeseed oil so you know that it will leave skin amazingly refreshed and soft. Weigh 5 oz.